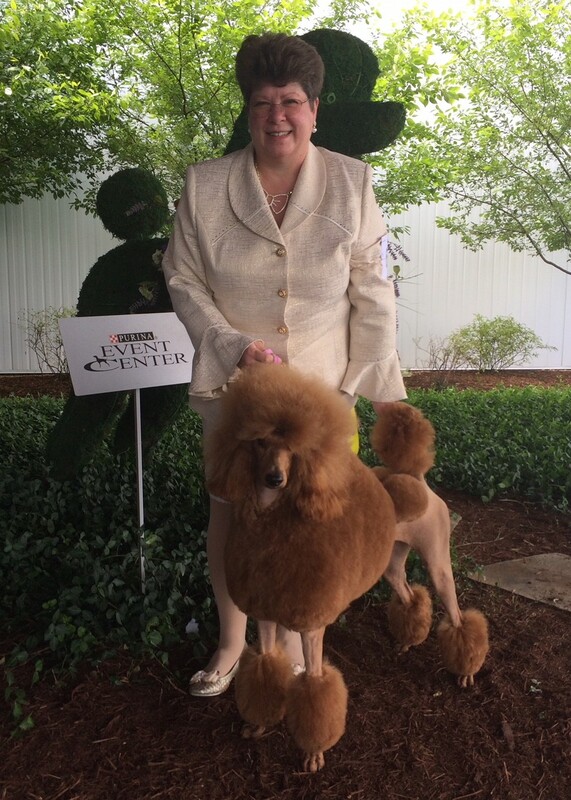 AKC History Making Red Champion Toy, Miniature and Standard Poodles. Welcome to Patriot Poodles, Now in Carthage, Missouri! Missouri is the home to Purina Farms which supports dog ownership, Conformation and Performance dogs! Also, the Precious Moments Chapel is a beautiful local attraction in Carthage, MO that reflects the art of Samuel J. Butcher. I am a retired veteran after 20 years in the US Air Force. I work full time for Leggett & Platt in Carthage, MO to support my dog show hobby! "Patriot" is the prefix I use to register my dogs to identify us in the show ring. "Poodles" represents the breed I show. My poodles are my pets! I believe in taking good care of my fur kids because a good, healthy dog will give you years of unconditional love and friendship. All poodles are groomed by myself and given that special one-on-one mommy time. Please do your research when looking for a reputable breeder. Don't be fooled by breeders who say they have "show quality" puppies when they have NO Champions! If you are just looking for a "Pet," you should care about having a dog that comes from champions or is a retired champion. Conformation Champions have been judged by the bred standard to be the quality and temperament to carry on the next generation. It is proof that you are getting the best representation of a poodle. Beware of breeders who do not health test or just the minimum! Breeders who do more then the minimum for the breed signifies that they are concerned about the health of their dogs and the puppies that they will produce. Ask for copies of the certificates or look for the results posted in the Orthopedic Foundation for Animals database. Your research will pay off in finding the best breeder who will be there for you and for the life of the puppy. I believe it is a life-long, loving relationship between dog and human and it should not be taken lightly or in haste! CopyrightÂ© All rights reserved. Site design by MAGIA.